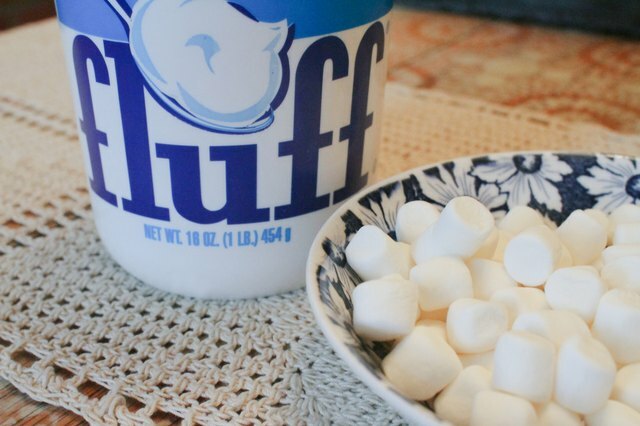 Marshmallows and marshmallow fluff are similar but not identical products. Marshmallow fluff is made using a batch-whipping process from corn and sugar syrups, dried egg whites and vanillin. 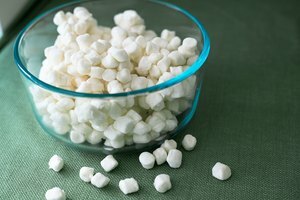 Marshmallows, which are firmer, also include gelatin, confectioners' sugar and corn starch. In many cases, marshmallows can be effectively and simply substituted for marshmallow fluff, although the process can be somewhat trial-and-error, depending on the recipe. 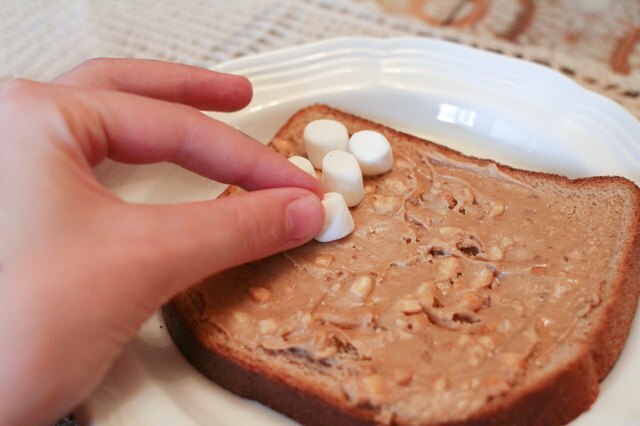 Sometimes, marshmallows can be substituted directly; in other cases you will need to cook them down into a creamier substance to achieve the desired consistency. 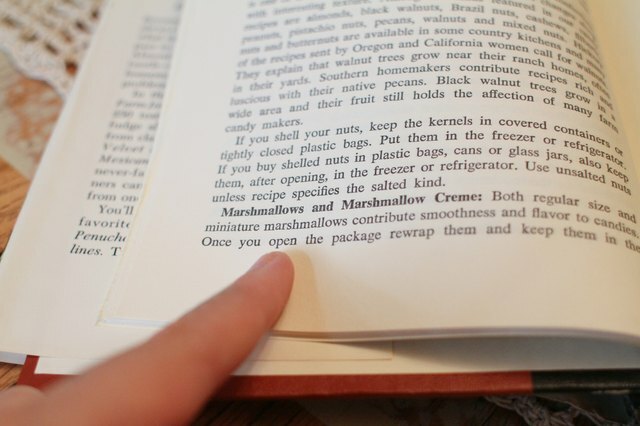 Check your recipe for substitution warnings; if your recipe cannot be properly created substituting marshmallows for marshmallow fluff, it may indicate this. (Conversely, the recipe may indicate that substitution is acceptable; for example, the recipe for the Original Rice Krispie Treats specifically states that the treats can be created using either four cups of miniature marshmallows, a 10 oz. package of regular marshmallows, or one 7-oz. jar of marshmallow fluff.) 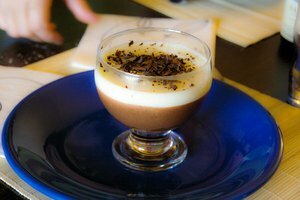 You may also want to do a quick Internet search on the suitability of substitution for your specific recipe type, whether it's fudge or marshmallow topping for ice cream. 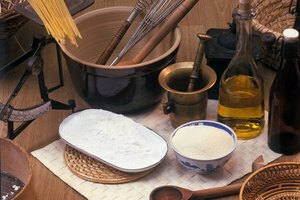 This can also give you a good idea of the appropriate method of substitution. Cook down the marshmallows for a creamy consistency. For this do-it-yourself marshmallow fluff substitute, carefully heat 16 oz. 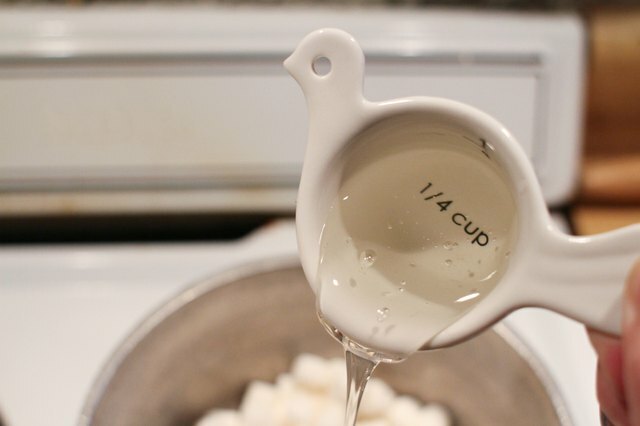 (2 dry measure cups) of marshmallows and 1/4 cup of light corn syrup in a double boiler. Pay careful attention to the mixture and stir constantly to ensure the delicate marshmallows don't burn. Mix the creamy mixture, while still warm, into your recipe just as you would fluff. The only drawback to this method is that the mixture is extremely sweet, with the addition of extra corn syrup. 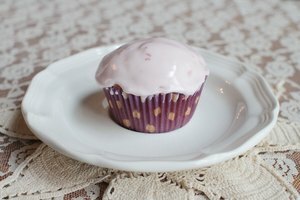 Consider scaling back on sweetener in the recipe.